Having a party? Think of things that will make the party fun for your guests -how about karaoke? VocoPro makes that easy with the TabletOke. 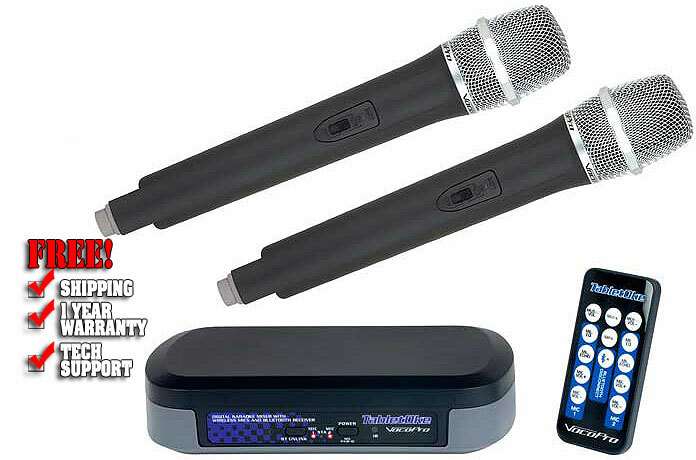 It's a digital karaoke mixer with two digital wireless microphones and a Bluetooth music receiver built-in. All you need is a sound system or portable powered speaker with an 1/8" audio input to connect to the TabletOke and you have the setup for a great karaoke party. You can connect to the TabletOke via Bluetooth with any compatible smart phone, tablet or even laptop; anything that connects with the included 1/8" to 1/8" cable. Search for thousands of songs on the Internet, or use any karaoke apps available on either the iTunes store or marketplace for Android users. The TabletOke also lets you connect to any karaoke player to use the CDG or DVD disc as source of music. 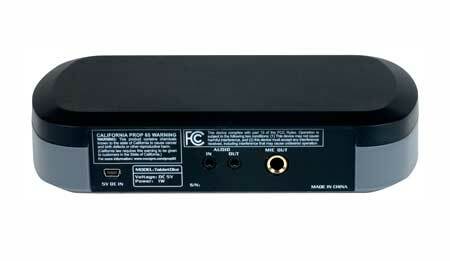 Just connect the RCA to 1/8" cable from your source player to the TabletOke's input. The two digital wireless microphones operate in the 2.4 GHz band. The frequencies can be switched at the push of a button to avoid any frequency interference issues. 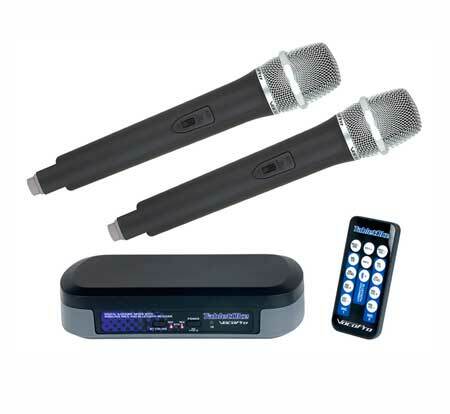 The remote control gives you full control over music volume, both microphone volumes, and the karaoke effects. Make your next party or family gathering outrageously fun with this easy-to-use device.